Suddenly, i look up and a hummingbird has paused mid-flight and seemed to stop, turn and look directly at me!! 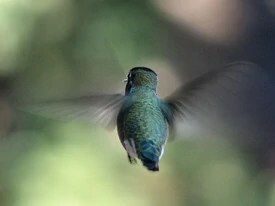 I don’t know much of hummingbirds, so i wonder then, do they perhaps fly sideways and so it just happened to pause directly in front of me, appearing as though it stopped to look a me? And Wikia.com says: “The hummingbird symbolizes many different concepts. Because of its speed, the hummingbird is known as a messenger and stopper of time. The hummingbird is a messenger. He died Saturday. He’s dead. I’m in shock and submerged in my grief. Can’t eat. Can’t sleep. Can’t think. Can’t love. Is it true he died three years ago but I’ve been wrestling and playing with his ghost all this time? Wrestling and playing with my sanity is probably a more apt description. I have permission to be angry. Permission to grieve. Permission to self-consume in my broken misery. Temporary permission only though. I’ve already devoted three years to the ghost of love-past. I’m not afforded the luxury now to dwell here for long. As much as it feels I can’t and as much as I don’t want to, life must go on. I must insist that it does. I have too many beautiful blessings to let this injustice end everything. Death is a part of life. It just is. A part of me is dying even as I type this, but my physical body is still gripping to life and for that, I should be grateful, not resentful. I’m fighting that resentment. Fighting the pathetic wish to be as dead as he is. I am alive and he is not. There must be a reason for that and as much as nothing makes any sense to me right now, I’ll just have to find it and go on. I’m not in charge today. Someone else is calling the shots. No sense in fighting it. It has been decided, determined, fated, destined. I’m just a drop in the ocean of the bigger plan. My job is to just be/do what I’m meant to be/do. Dave K. is dead. I must go on.